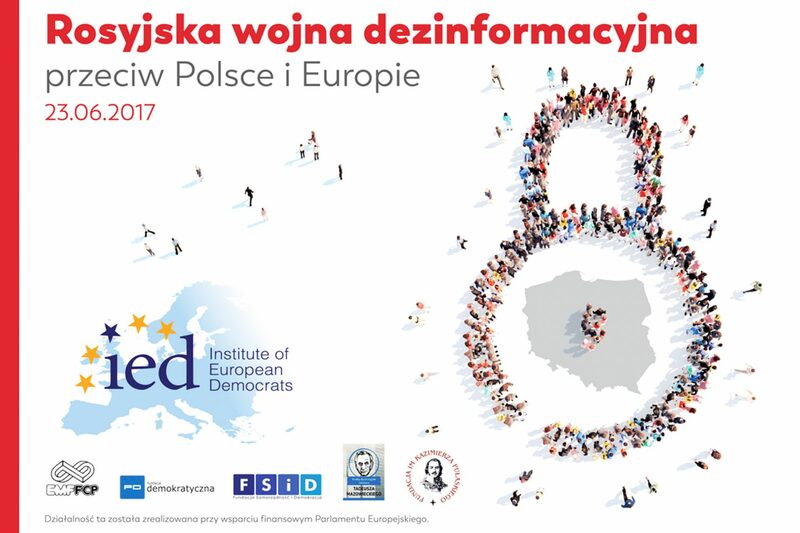 Head of the Research Office at CPF Tomasz Smura to speak on conference "Russian Disinformation War against Poland and Europe"
On June 23 Institute of European Democrats organises in Warsaw a conference entitled “Russian Disinformation War against Poland and Europe”. Tomasz Smura, Head of the Research Office at Pulaskin Foundation will be a panelist and moderator during the conference in the panels “The Methods of the Disinformation War” and Disinformation War – A Thread for Europe. Pulaski Foundation is a partner of the event. Programme of the conference is available here.